Just like he didn’t invent the concept of a lovable, sporadically violent manchild, Adam Sandler is not the first to use the term “Pixels” to describe a video. 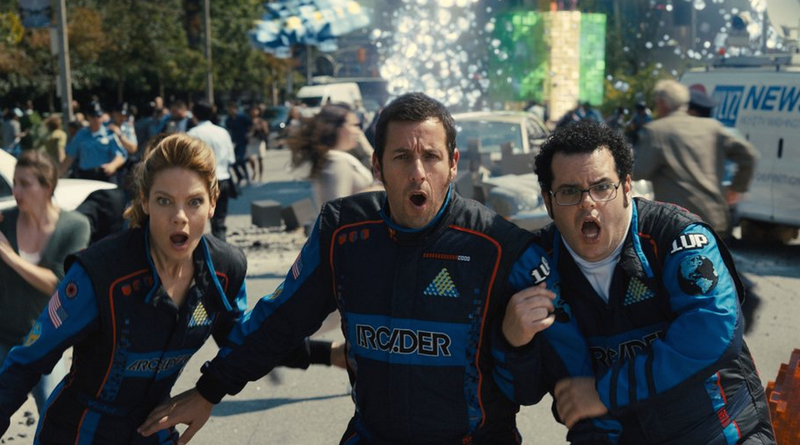 Believe it or not, the term “pixels,” was not created solely for use as the title of an underwhelming Adam Sandler movie. But don’t tell that to the copyright enforcement firm hired by Columbia Pictures who stupidly — and perhaps illegally — demanded the removal of several videos only because they dared to use “pixels” in the title. TorrentFreak reports on a takedown notice sent to video-sharing site Vimeo that succeeded in removing ten videos, most of which had absolutely nothing to do with a movie about aliens attacking Earth in the form of classic video games. Interestingly, one of the removed clips is actually about a similar topic to the recent box-office dud. It features 8-bit video game characters raining down destruction on Manhattan. But this award-winning video from Patrick Jean, which has been viewed more than 1.3 million times on YouTube, can’t have infringed on the Pixels copyright — because it pre-dates the movie by five years and doesn’t feature Peter Dinklage in a mullet wig. As of now, all of the clips removed from Vimeo are still down. We’ve reached out to Vimeo to ask why the company obliged an obvious error and if it’s doing anything to resolve the issue. We’ve asked Vimeo if this confirms the website’s policy of obliging DMCA takedown notices without review or question. Again, we’ll update if they reply to that question. The bigger question is whether the firm, Entura International, that sent out these takedown notices on Columbia Pictures’ behalf, is breaking the law. The Digital Millennium Copyright Act, which allows companies like Entura to enjoy this “shoot first, ask questions later” approach to copyright claims, also requires that companies sending takedown notices do so only after having done their due diligence and determined that infringement has likely occurred. Unfortunately, abusers of DMCA claims rarely get held to account for the damage they do. Just ask the Pennsylvania woman who has been fighting Universal Music in court for eight years over her 29-second YouTube clip of her young child daring to dance to a barely audible Prince song in the background.